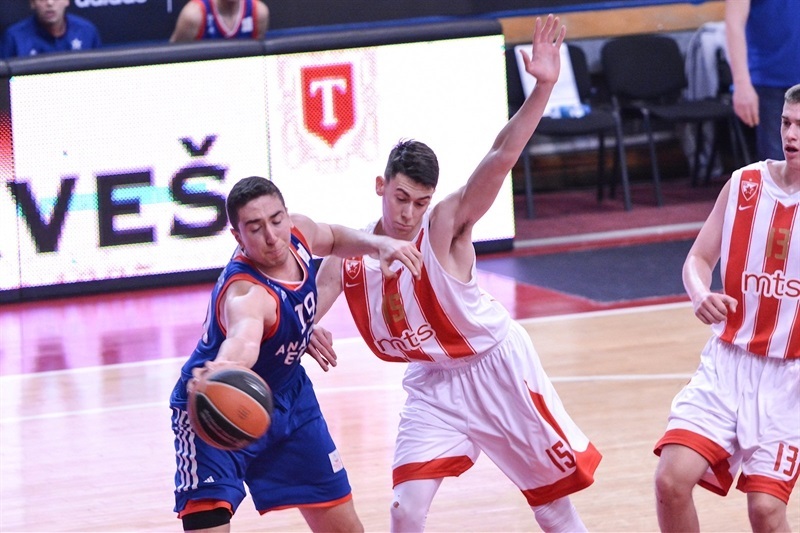 The final of the Euroleague Basketball ADIDAS NEXT GENERATION TOURNAMENT Belgrade is set as U18 Crvena Zvezda mts Belgrade will play for its eighth straight title after beating U18 Anadolu Efes Istanbul 87-70 to make a date with city rival U18 Partizan NIS Belgrade. 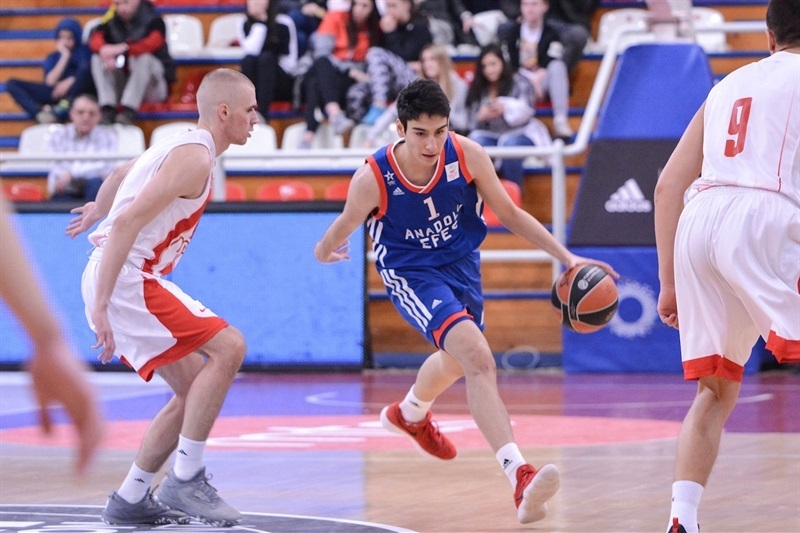 Zoran Paunovic paced Zvezda with 22 points, 5 rebounds and 5 steals while Veljko Radakovic had 15 points and Lazar Zivanovic scored 14 as the 2014 U18 continental champion has now won 34 straight games in qualifying tournaments. 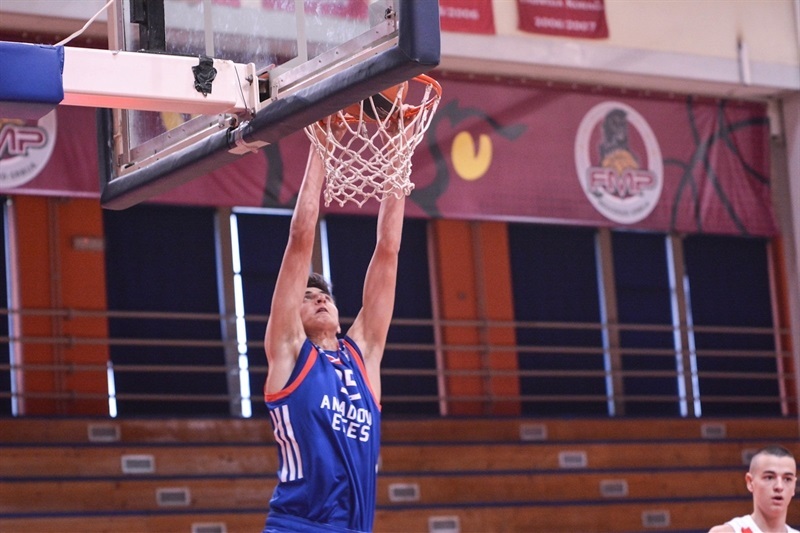 While Zvezda finished Group A at 3-0, Efes dropped to 2-1 and will play for third place. Mustafa Kurtuldum had 17 points, 6 assists and 11 fouls drawn for Efes while Omercan Ilyasoglu picked up 11 points, 8 assists and 2 steals in the loss. Ilyasoglu collected 2 points and 3 assists as Efes stayed close in the early going - down 12-10. The score was 17-15 until Zvezda took the first run with an 8-2 spurt to lead 25-17 after 10 minutes. 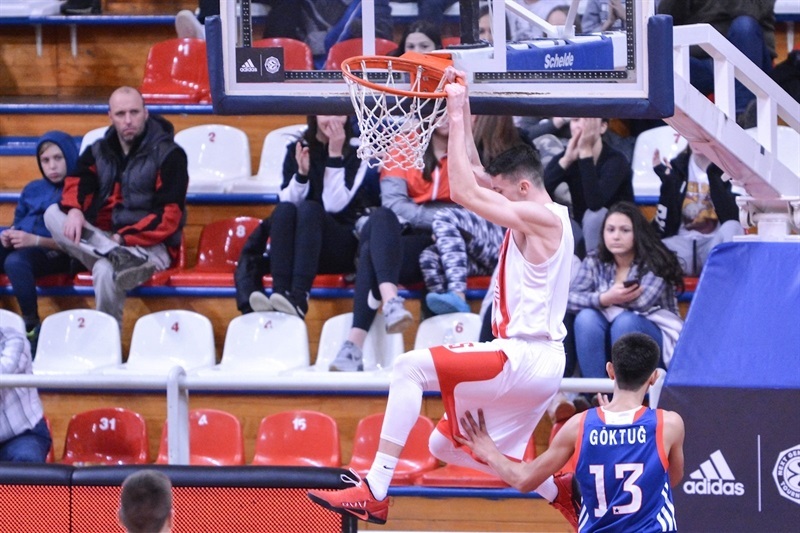 Lazar Vasic nailed a three-pointer as Zvezda scored the first eight points of the second quarter to lead 33-17. Ilyasoglu’s free throws finally got Efes on the board but the Istanbul club could not come up with stops and Paunovic’s baskets pushed the lead to 20 points - 43-23. Another Paunovic layup made it 48-24 and the host team led 50-28 at intermission. Paunovic continued his fine performance early in the third quarter with 5 straight points as the lead grew to 57-28. Efes finally scored after more than 2 minutes to start a 2-8 run but Zvezda was still able to score and led 67-40. Efes tried one more time to get back into the game with a 2-8 close to the third quarter to cut the gap to 69-48. And Ilyasoglu picked up two baskets early in the fourth quarter but Radakovic completed a three-point play as the lead was still 21 points - 77-56. And the Zvezda reserves did a solid job keeping the scoreboard ticking and finishing off the victory.